SNAIL has once again partnered the world's foremost brand of low frequency audio transducers to bring you another exiting prize contest! The ButtKicker Challenge VI will run from December through February. Finalists will then be entered into a random drawing, and for the first time ever, the winner will get to choose between two different prizes! The prize choices are a ButtKicker Gamer2 or a ButtKicker Simulation Kit!! 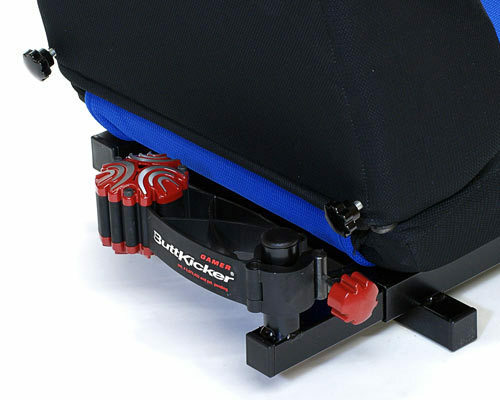 The ButtKicker Gamer2 features an all-new, rock-solid digital power amplifier that cranks 90 watts into your sim racing rig or seat. This convection cooled (fanless) amplifier includes a wired remote control and a base stand for vertical placement. Feel the gut-wrenching punch of a crash, the pounding of fenders, racing engines, backfires, gear shifts, rumble strips, screeching tires, engine throttle and more. Turn down or turn off your subwoofer and still feel all the bass - even while using headphones. 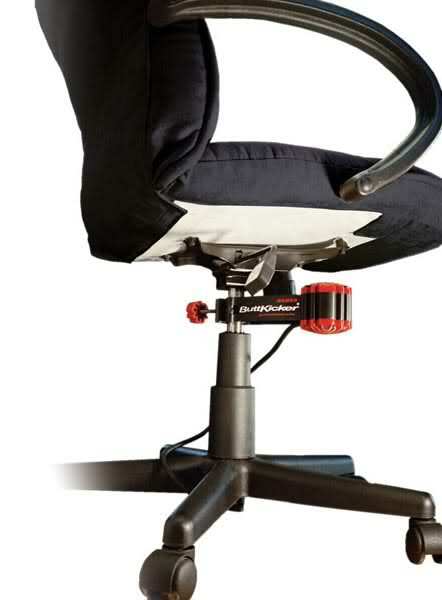 Take your sim racing experience to the next level of realism with the ButtKicker Gamer2!! Don't forget about your exclusive ButtKicker discounts!! potvinsuks, SwiftCulpeo, socalnatv and 12 others like this. I’ll be interested to know how you like it. I was looking up these myself. @Rob Brown should be delivering next week. I will let you know. I have been looking at these since July lol. The more I race with Snail the deeper my passion has grown for this sport/hobby. Up next will be the Thrustmaster shifter, a Buttkicker and I recently saw where you can get a motion simulator that installs on the seat itself. All in due time however. Raw10_2u, spidermonkey, Rob Brown and 1 other person like this. Division 4 data from 11.25.18 has been entered. JamCar0ne, Rednose58 and TexasJDC like this. Was running 1:36s so however that is extrapolated for other divisions. Rednose58, THRASH, Nick Cannella and 2 others like this. Jw_wk1010, Neutty, racingchamp30 and 3 others like this. @src_ej6 quoted below are your choices for prize A.
Alsace Village - in the new Maserati GranTurismo S.
I think I tested with 9:15 clear and that seemed good so I'll go with that. Alsace Village hasn't been raced since March and I think the track lends itself well to N400 cars, the new Maserati while not the most nimble - does sound good in my opinion. This thing chews through tires! Still lots of time to make up. Raw10_2u, spidermonkey, THRASH and 4 others like this. vsfit, spidermonkey, Neutty and 6 others like this. A preliminary round of P&R has been completed for the December season and the drivers list has been updated. This is not necessarily the final list for the start of the season. An influx of new drivers could make changes necessary to the current list before racing on Sunday. A message will be posted once the drivers list is ready for this week's racing. All division managers should go ahead and start a new thread for the December season. The November threads will be archived once the December threads are created. DublDee, vsfit, TomMang_68 and 7 others like this. JamCar0ne and Nick Cannella like this. Post in the dedicated thread if you are interested in joining. It requires some time and effort on your part if you wish to participate. The event kicks off at 9PM EST this Friday. TomMang_68, THRASH, Neutty and 2 others like this. Division 2 data from 11.18.18 has been entered. Rednose58, Nick Cannella, Herimopp89 and 1 other person like this. MajorBlixem, Nick Cannella and thracerviewr like this. We ran this car on my very very first Sunday back in February. At dragon trail. GTPvw_slc and THRASH like this. abm89 and Neutty like this. I've completed my reviews of all IRs on file for the week. I have completed my review of the 3 IRs on file this week. Gr8_Lakes, vsfit, Raw10_2u and 10 others like this. @vsfit @THRASH what program are you using to design the liveries outside of the game. And how do you go about getting them into the game? November 2018 banners (and all of GTSport Banners) are archived here. Raw10_2u and Nick Cannella like this. I’m thinking many have nailed it. Gr8_Lakes, Raw10_2u, BradESPN and 6 others like this. Shotgungho, MajorBlixem, DublDee and 2 others like this. Raw10_2u, soundtiger95, DublDee and 2 others like this. THRASH and DublDee like this.